Finding the perfect Halloween costume is hard under any circumstances. Trying to find one that’s creative can take weeks of research and planning. As if choosing a Halloween costume isn’t hard any other year, it’s even more difficult when you have to accommodate your expanding belly. Your options can be easily divided into three categories – bare belly art, traditional costumes in pregnancy sizes, and humorous creative and/or homemade costumes. Bare belly art is reserved for the brave. And those in warm climates. I can’t imagine trying to go anywhere with my belly exposed to begin with, let alone if I lived in a climate (such as Colorado) where it’s notoriously cold on Halloween and one of the running jokes is that snow is always expected. However those brave enough to bare their bellies have gotten pretty creative with ways to adorn it. My searches have produced a wide range of artistry of the bump from fish tanks, to basketballs, to pumpkins. It’s a funny idea for pictures, but I don’t know if I’d do it in public. Traditional costumes in Halloween sizes is probably the safest, yet most boring of the bunch. These are the classic mainstay costumes that are neither creative nor go out of style. Things like fairies, nurses, and witches are readily available in pregnancy sizes. 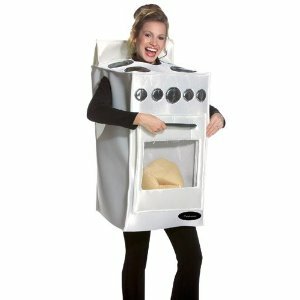 My favorite pregnancy Halloween costumes are definitely the creative ones that poke fun at the condition. Check out these creative options for the burgeoning bump. 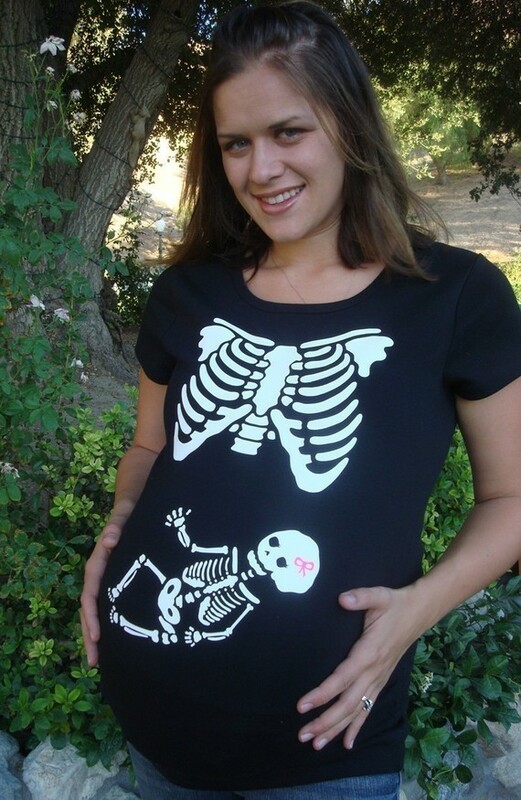 If you don’t have a party to attend, put on this super cute maternity skeleton shirt to show you’re in the mood for Halloween!
. 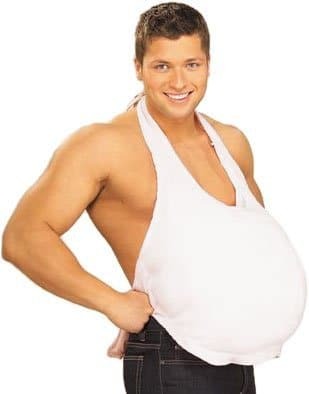 Just throw on a too tight men’s wife beater and let proudly show off your bump. You could also carry around an empty beer can to add even more class. Which costume is your favorite? Have you seen any creative pregnancy costumes? These are soooo cute!! And I love the skeleton t-shirt!! I really like the first one. Too cute! These are great but I like the first 2. The x-ray Tee and the Bun in the Oven. just FYI, we live in Colorado and we wore shorts last Halloween 🙂 We rarely get too cold on Halloween. You must have thicker blood or it’s warmer in Denver. I lived in the Springs for a total of 13 years and it seems it was always cold by Halloween. My friend was sending me pics of the snow they got this morning – just a dusting but she said the roads were icy. That skeleton shirt is tooooo cute!! Those are so cute! I like the t-shirt! I really like the first one, but I’m not feeling motivated to ‘do’ halloween as I’m 8 months along and have no energy and am trying to save money, so I’ll probably dress like Juno lol.